Oxford is now the most unaffordable place to live in the UK. Houses cost more than 11 times average wages. The country and Oxford's council have a housing crisis on their hands. Too often, people paying rent get poor service from rogue agencies and landlords. Greens want to take action to drive up standards in rented housing and to tackle the burden of rent. We believe that access to housing is a human right—the council must do more to meet the housing needs of people in Oxford. Greens support increasing the number of council and social homes available to those who need them. No council houses have been completed in the last year in Oxford. So when suitable houses become available on the local market, Oxford City Council should purchase them to increase the council housing stock. We demand that Oxford City Council use some of the £10m it has set aside to buy properties for use as Council housing to purchase the Crown House Club on the corner of Crown Street and St Mary’s Road in East Oxford. The Council could then provide 4 flats for immediate rent and a potential additional 5 flats for rent once the non-residential parts of the building are converted for residential use. 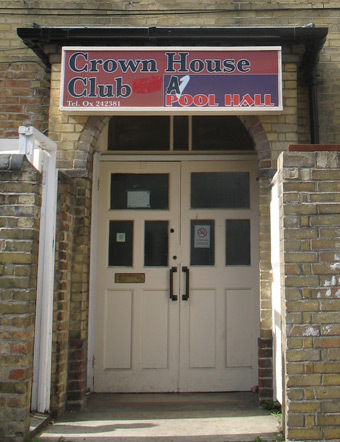 We believe the £1m price tag for the Crown House Club, and the potential to create up to 9 Council housing units in an area of housing need, presents excellent value for money for the City Council. With a constant decline in social housing available in the city, it would be a travesty to pass on such a good opportunity to increase the Council's housing stock. Everyone who wants to be a parliamentary candidate for the Green Party in Oxfordshire, or stand in a council target ward, must complete this questionnaire. If you just want to get your name on the ballot paper so that voters can vote for the Green Party in your ward (a non-target candidate) you do not need to complete this questionnaire. There are 15 questions in all, the first of which you see below. They cover eligibility, your selection statement, how much time you can contribute and what help you need from the party. If you have any difficulties completing the questionnaire, email the Oxfordshire Green Party Elections co-ordinator with the same information, and any questions you have. After a vote of Green Party members in the Witney constituency, Stuart Macdonald was selected to represent us. Knocking on the doors of people who said they will vote Green (“knocking up”). Telephoning people who said they would vote green. Helping in a committee room. Taking voter numbers at polling stations (“telling”)—many voters don’t make up their minds until they are in the polling booth. A Green rosette and a welcoming face can help persuade them. Key times include 7am-9.30am, and 5pm-8pm. Tallying the votes at the count, so we know where in the county there are more Green voters. Please tick the ways you can help below. Welcome to an Oxfordshire Green Party event. It costs us money to put on events. We have to pay for room hire, speakers' expenses and publicity. £3 pays for tea, coffee and biscuits for a day. £10 pays for an hour's room hire. £25 pays for hiring an IT suite for an hour. £50 pays for a return train ticket from Brighton to Oxford. Please help us defray these costs by making a small donation, so that we can run more events. Once we have a picture, and links to reports, it is worth posting this on the public news blog as well. Thank you for booking an event ticket from the Oxfordshire Green Party. Please complete the details below and submit the form. You will receive an e-mail receipt for your payment. Oxfordshire Green Party is running campaigns to fight homelessness, save local community facilities, tackle air pollution, ban single-use plastics and generally improve the quality of your local council services by getting more Green councillors elected. Our Green councillors have already got local councils to divest from fossil fuels, improve cycling facilities and require 50% social housing in new developments. We don't have much money, but we do have thousands of members and supporters in Oxfordshire. Will you join us to help make a difference in your local area? Please sign up below to volunteer in any way you can. We are campaigning all year round on local issues and to get more Green councillors elected. If you have just a few hours to spare please do phone Kate Robinson on 07582 903996 to find how you can help, at a time that suits you.